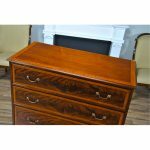 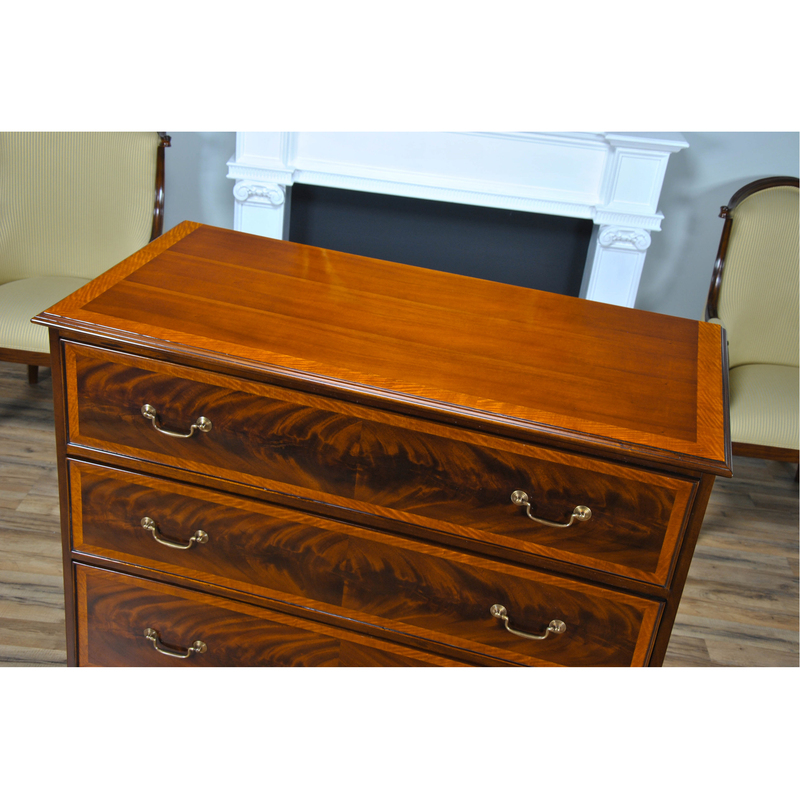 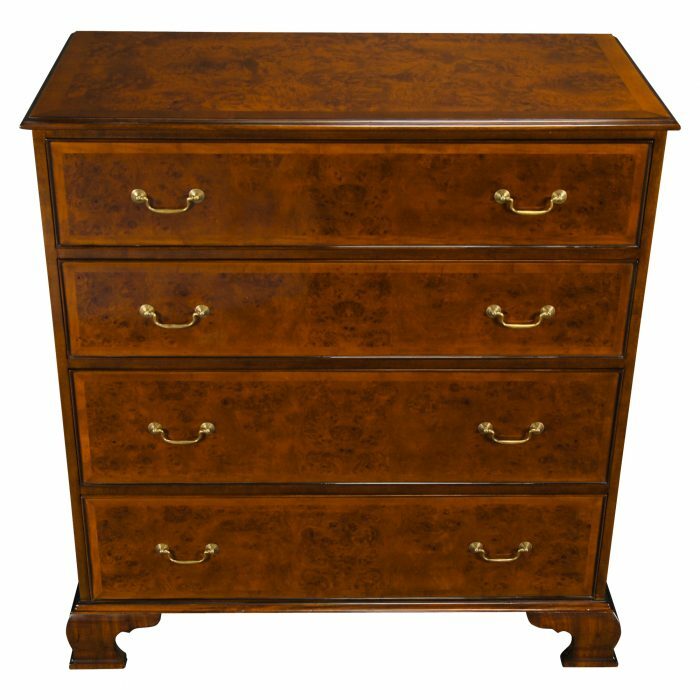 Decorative and functional best describe this high quality Banded Mahogany Chest from Niagara Furniture. 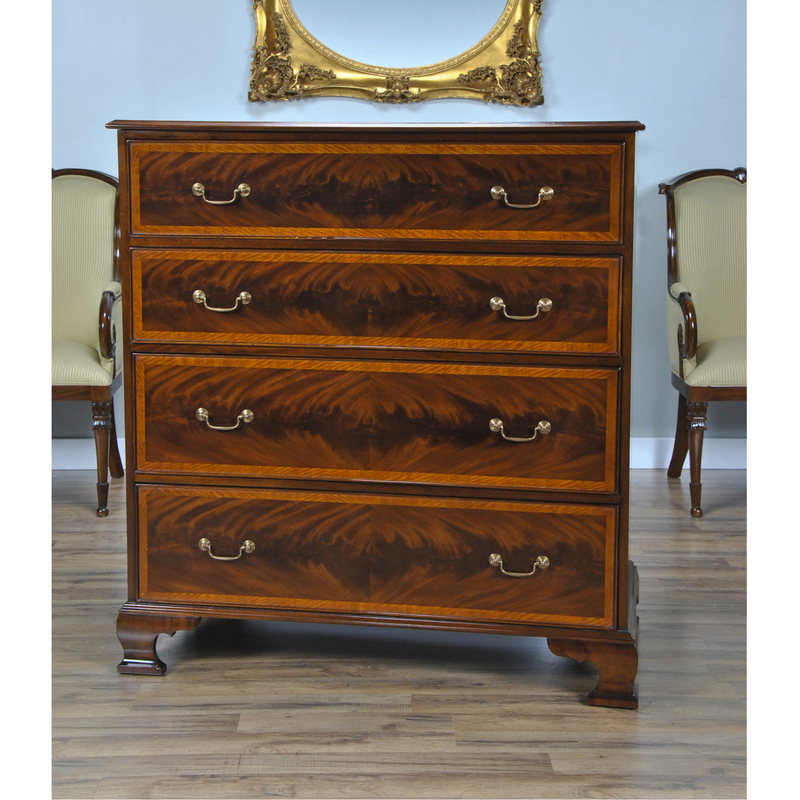 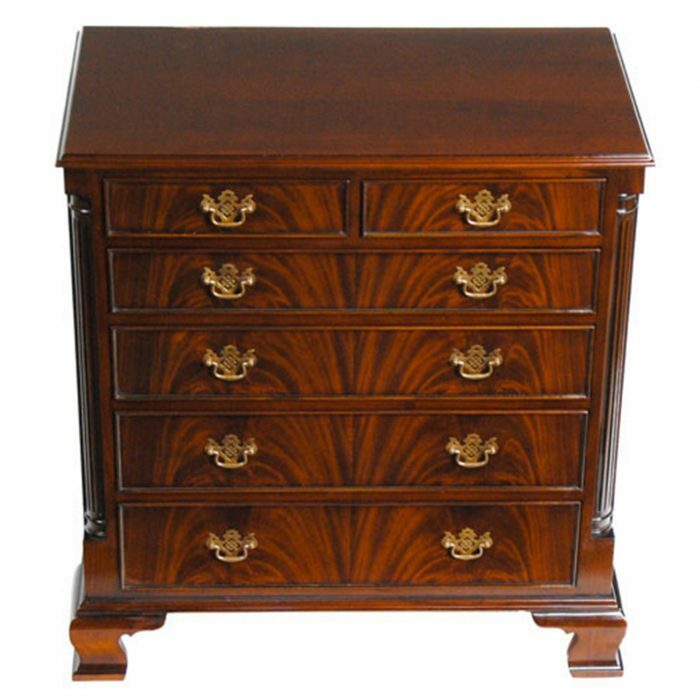 Banded Mahogany Chest is a reproduction of an English antique chest from the Eighteenth Century. 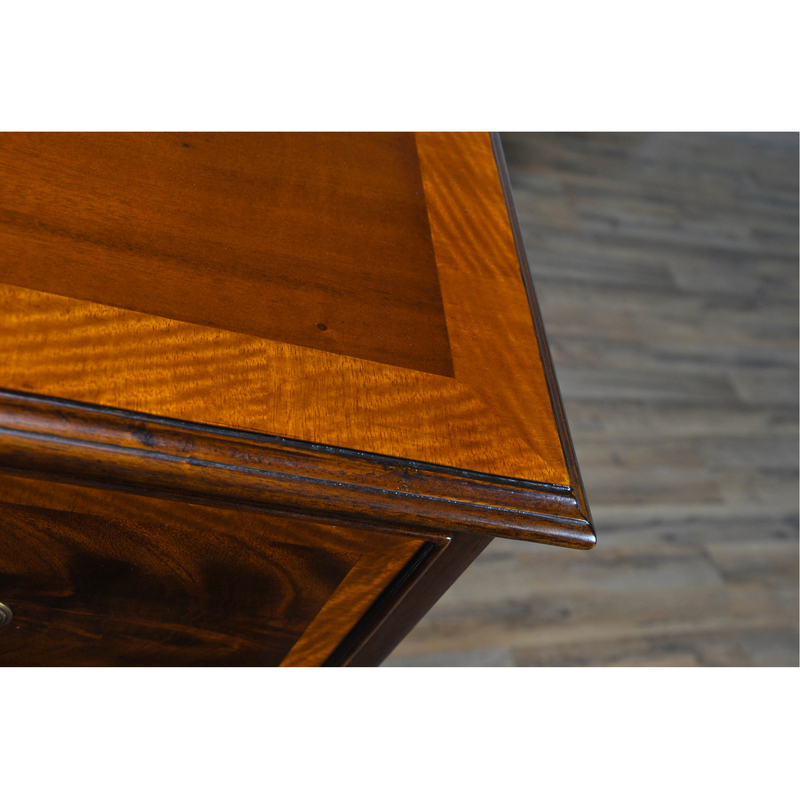 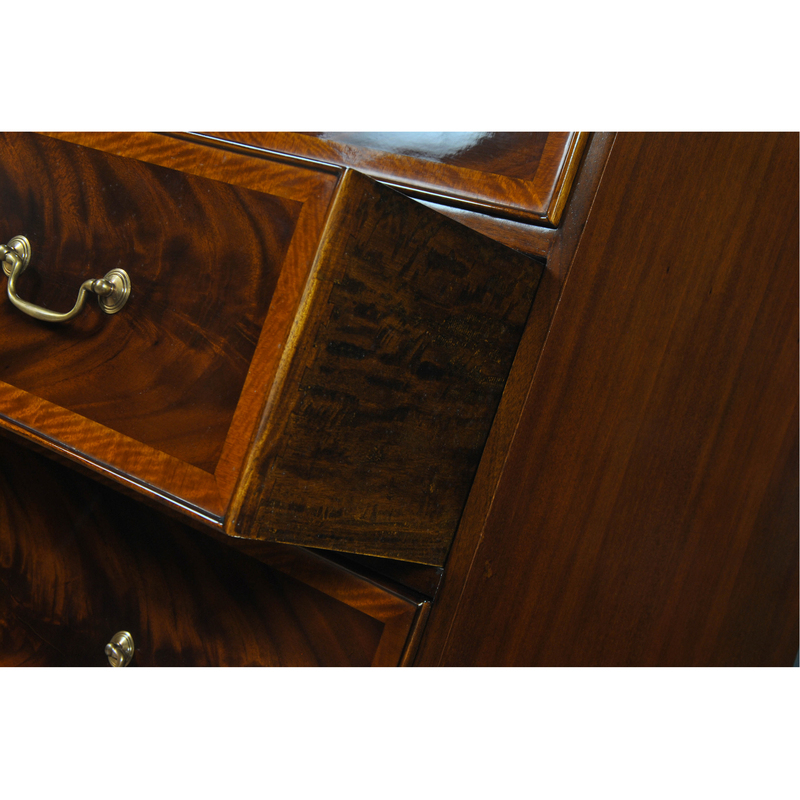 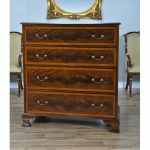 Both decorative and useful the chest is a pleasure to behold while offering a large amount of useful storage in the deep dovetailed drawers. 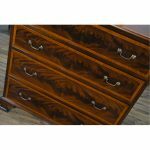 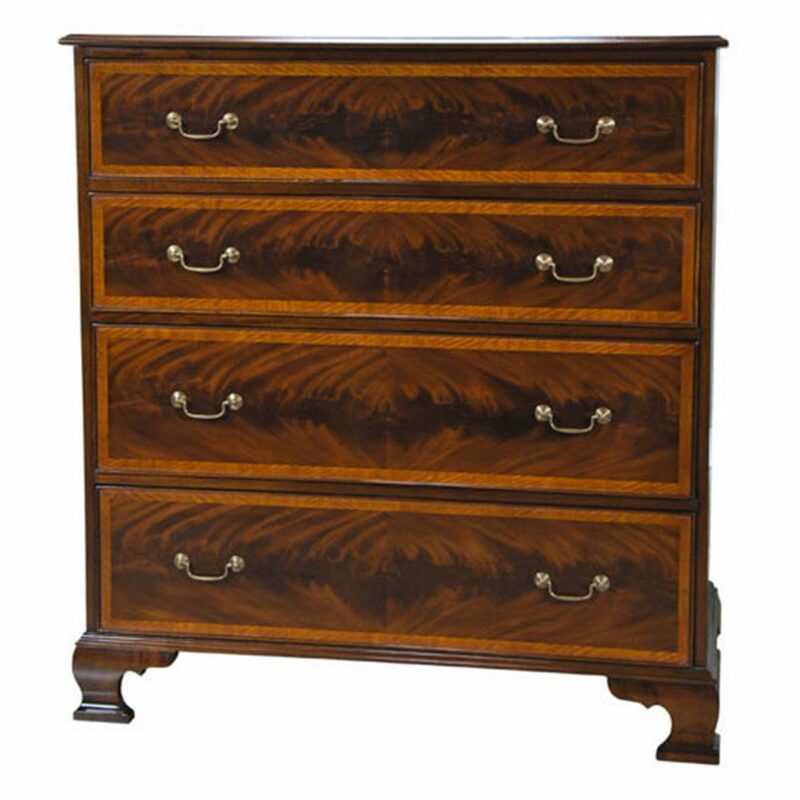 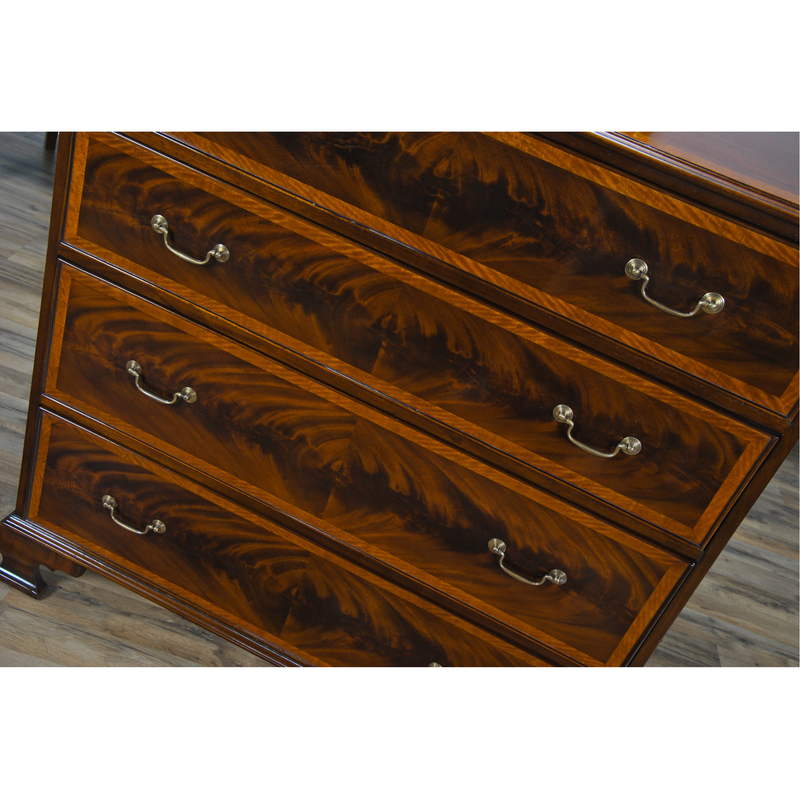 Created using figural grained mahogany veneers and accented with satinwood banding and brass hardware, this chest features four graduated, dovetailed drawers supported by shaped ogee bracket feet. 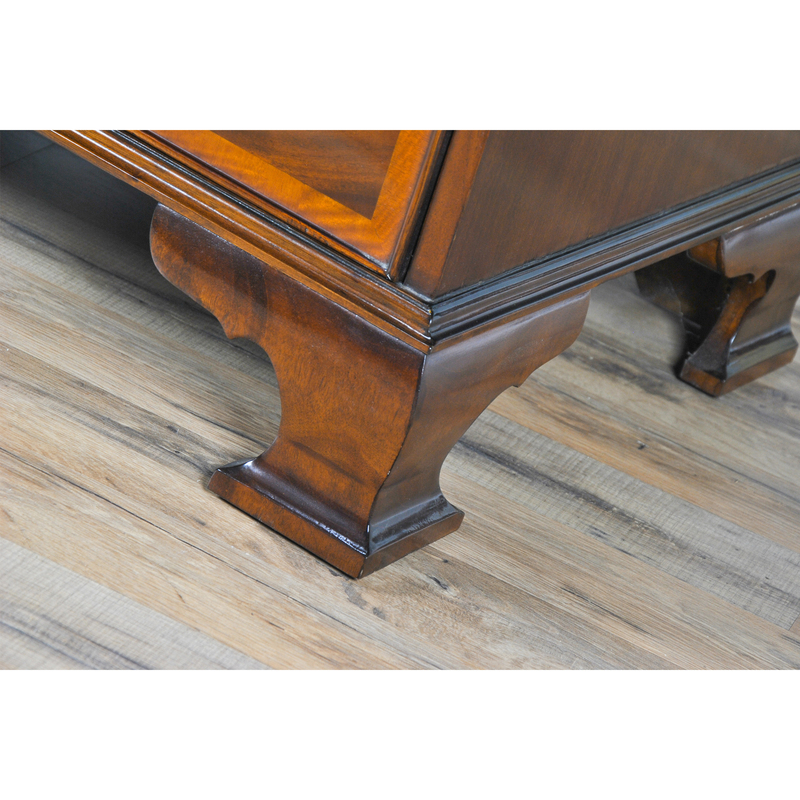 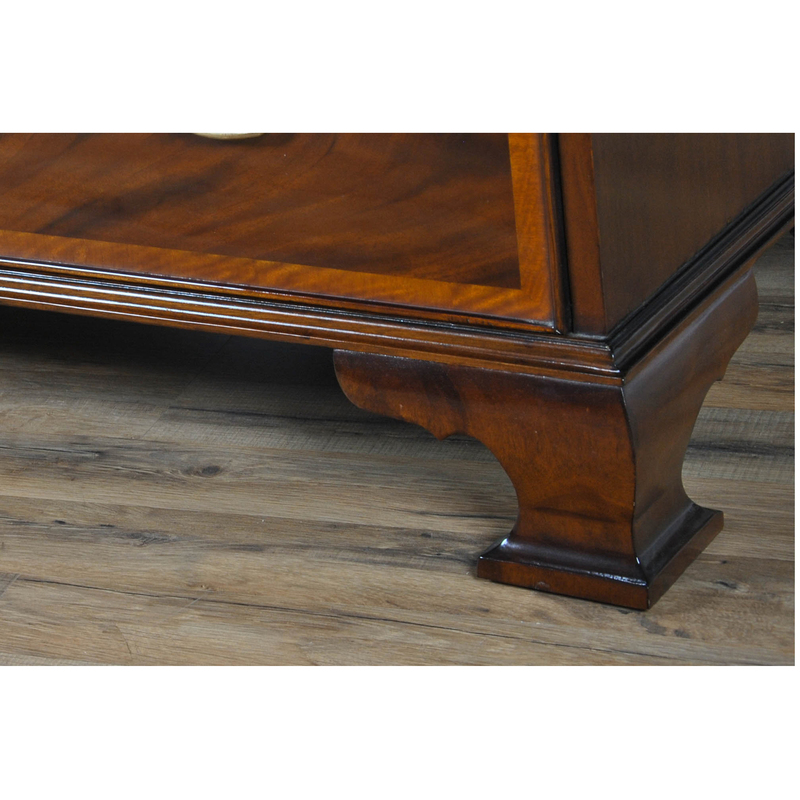 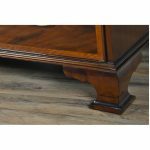 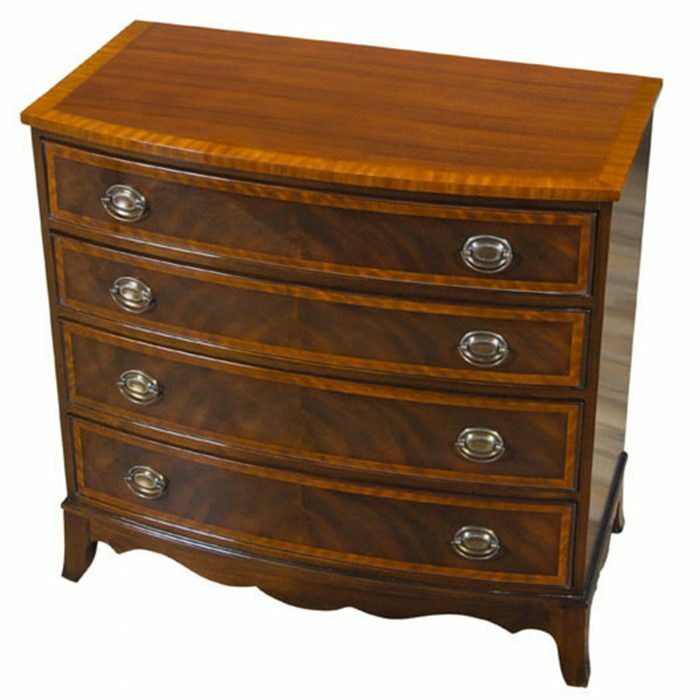 Ideal in the bedroom our banded mahogany chest is also at home in public living spaces such as a front hallway or in the living room.